La Colombe got a chance to attend this event. “FURCY, Haiti (defend.ht) – November 16, 2011. The Minister of the Interior, Mr. Thierry Mayard Paul opened in the mountains of Furcy the first International Summit of Haitian Coffee at “The Lodge” restaurant. The Minister gave his full support to local producers and extensively discussed ways to promote and develop the coffee industry abroad. This event, organized by the Clinton Foundation, included the National Coffee Association of Haiti and other Haitian cooperative associations of producers and coffee companies. International actors, whose roles are essential in the development of this sector were also invited to share their expertise and offer their cooperation to facilitate access to new markets and promote the world, the Haitian coffee. 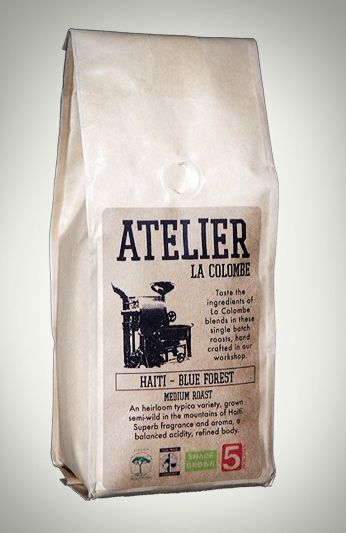 Haiti was formerly a leading global provider of coffee. Now more than ever, there are clear signs that the Haitian coffee is ready to be restarted. According to a recent article in the Miami Herald, the coffee beans “Gwo Chwal” were sold in the United States at $ 0.30 a pound now roasters Japanese will buy it at $ 5.50 U.S.. As farmers COCANO Port-de-Paix they expect to double their exports of coffee that venddéjà on the Internet and in shops of Italian espresso. Haitian coffee cultivation may also include a comprehensive plan that could help agricultural decentralization and job creation in rural areas. Coffee fields can also contribute to renewed reforestation and to reduce the impact of natural disasters such as landslides or rock falls. Ministry of the Interior is working to materialize the vision of the President of the Republic to create sustainable development through local initiatives and decentralized cooperation.